Besides being an AWESOME llama packer and classic herdsire, Toby is an ALSA Halter Champion! ﻿Over the years we have had a lot of interest in classic llamas and pack style llamas, but you can't hardly find them! Trying to find one with good conformation and genetics is near impossible too! Looking for a classic male to breed a classic female to is challenging to say the least! Toby was purchased as a weanling by Noel and Georgia McRae. They did a fabulous job of training Toby, but were no longer going to be breeding so they sold him to Jerry Lozier. Jerry used Toby for a few years and then was not going to be breeding any longer, thus Toby needed to find a home where he would be used. We made arrangements to buy Toby and now had the start of our classic breeding program. Toby's whole pedigree is totally outcross and classic with no woollies or other lines that usually produce non-classic fiber. He has produced 100% classic offspring with over 25 on the ground. 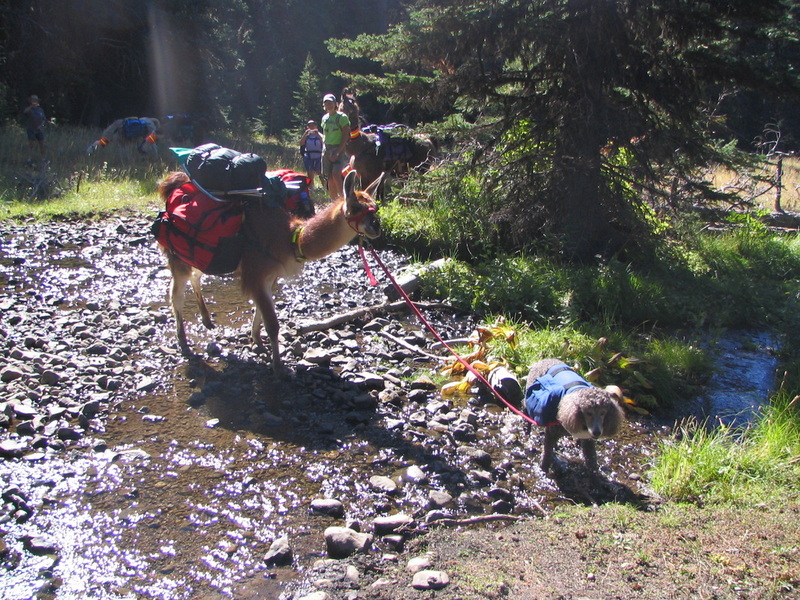 Toby has been used extensively for packing and really enjoys being out on the trail. He could pack between 75-90lbs without hesitation and because of this, Toby earned his PLTA Master Packer certification with Jerry. We had planned to pack with Toby ourselves and do some limited breeding to him. At age 10.5 he started a show career and at his first show earned two Grand Champions in Light Wool. We literally picked Toby up from the former owner on the way to a show and walked him into the ring! He as of 2007 became an ALSA Halter Champion! Not bad for a llama who didn't start showing until he was 10 and had only been used for llama packing! 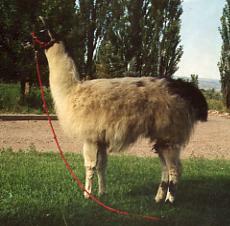 He is the only classic male llama that is an ALSA Halter Champion and PLTA Master Packer. Toby has been proven on the trail, in the showring and in the breeding paddock! We sell his babies for packing before they are born usually and have rave reviews from people who have bought them. They are smart and have a good work ethic. 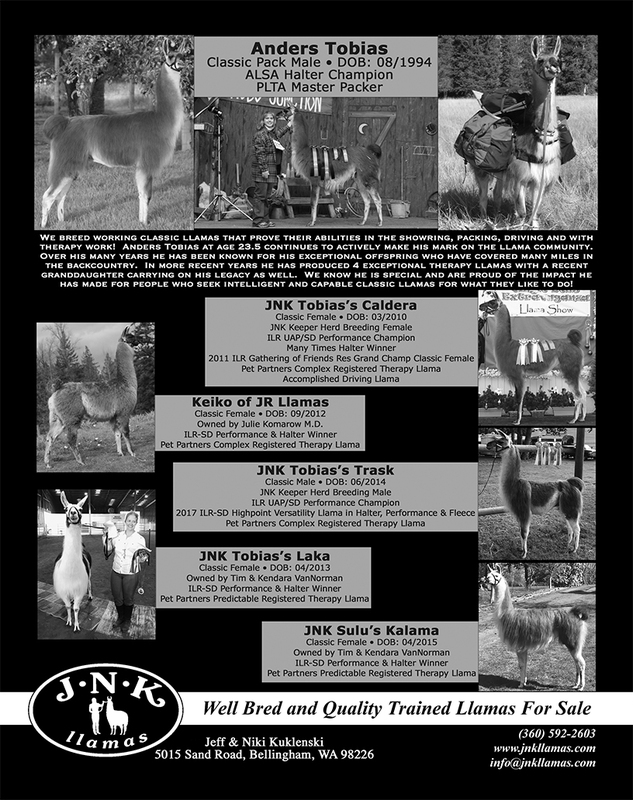 They make excellent therapy llamas, performance, halter and driving llamas as well! Toby's daughter "JNK Tobias's Caldera" won Reserve Grand Classic Female at the 2011 Gathering ILR Show in Iowa. Along with Caldera we have retained several Toby daughters in our herd for breeding classic pack style llamas. Dara is also a Pet Partners Complex rated therapy llama and one of Niki's main drivers. Seeing what is available for purchase right now, makes Toby even more valuable so we have kept Dara. Our Toby replacement son "JNK Tobias's Trask" is an ILR-SD & ILR-UAP Performance Champion and is just starting his halter career. Trask was the 2017 ILR-SD NW Region Highpoint llama in fleece, halter & performance. He is also a Pet Partners Complex rated therapy llama. We will be using him in our pack string as well now that he is four years old. There are four Toby offspring and one grand offspring that are registered for therapy work through Pet Partners. He passes his brains and gentle nature on! Due to a fence injury in 2011, Toby is not llama packing for fear he would get stuck up in the back country if he went lame on his bad leg. He is still very active and strong, and he is still breeding actively at age 23+ He really is an amazing llama! Toby has been correctly measured at 44 3/4 inches at the withers.